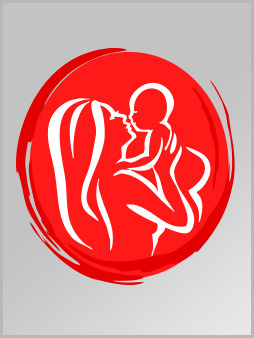 Dr. Gauri Agarwal is an young, dynamic & leading fertility specialist of Delhi/NCR. Backed by a visionary thinking, die hard determination and industry rich experience of more than 10 years, she is executing a finesse to eradicate the problem of infertility and provide comprehensive services in Assisted Reproductive Technologies to her patients. She is the Director, IVF at Seeds of Innocence & Yashoda Infertility and IVF centre. Led by her impassioned pursuit in spreading happiness amongst childless couples Dr Gauri is actively involved in educating the masses about the infertility issues in smaller towns and cities. For this she often conducts infertility camps organized to spread knowledge about the growing menace of infertility. She is also working as a visiting consultant in various hospitals and clinics such as Delhi,Ghaziabad,Loni, Bulandsahar, Dadri and Muradnagar. Having earned degree from stellar institutes, Dr. Gauri did her MBBS from BVMC, Pune and pursued her master’s from Texila American University and D.N.B in (Obstertrics and Gynaecology) from K.G.Superspeciality hospital-Coimbatore. She followed this with a hard earned Fellowship program in Reproductive medicine (Infertility) from UNIVERSITY OF GENT, BELGIUM and further received Training in Embryology at NATIONAL UNIVERSITY OF SINGAPORE. Dr Gauri has numerous published articles and has presented her talent Nationally & Internationally in the field of Assisted Reproductive Technology (ART). Taking ahead her quest, Dr. Gauri has actively been participating in seminar and workshops to educate fellow doctors and fertility specialist about the latest and upcoming technologies in Artificial reproductive technology .Having come a long way in just a short time, she has become one of the leading infertility specialists in Delhi/NCR, with her advice and treatment giving happiness to more than 200 couples who have suffered the trauma & despair of infertility. With continuous efforts and committed work of her contemporary staff Dr.Gauri is executing excellence with astounding success rate of 40-45%. Life is full of uncertainties and this saying has become true in our case. We had been trying to conceive over the last 5 years but didn’t’ succeed due to some unknown reasons. After trying every possible way to have a baby, we approached Dr. Gauri through one of our relative.. Even after long married life we hadn’t got a baby. We had lost hope of becoming parents. But Dr. Gauri has done miracle for us. We can’t express in words how much happy we are. I had got treatment from many doctors but no one could succeed. In the meantime, I read about her a..
From the last three years we were trying to be blessed with a baby but couldn’t succeed. After attending Dr Gauri’s camp, we were highly impressed with her. We immediately started medication advised by her. Within fifteen days, we experienced positive result. She is so kind ..